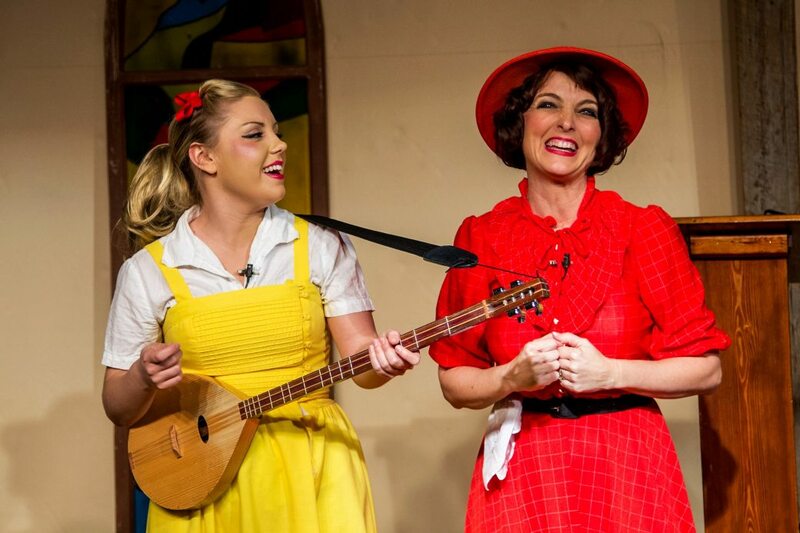 An off-Broadway show that combines music, comedy, and LIVE actors in a production that is unlike anything you have ever seen in Branson! "Hilarious!! Lots of good laughs! 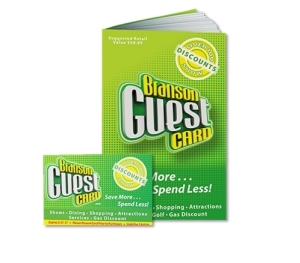 I highly recommend you become a part of this Branson show." "...so much more than I expected. We had a blast and laughed till our stomachs hurt." 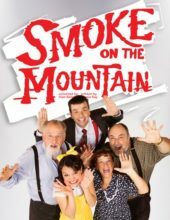 Booking tip: Smoke on the Mountain is very popular, advance reservations are recommended! 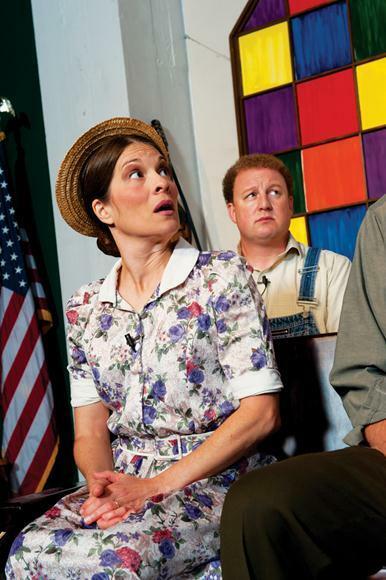 A Musical, Comedy, Theatrical, and Gospel Show! 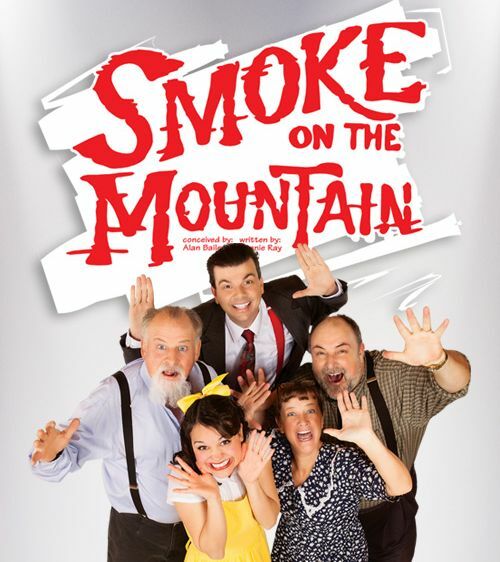 Remarkably popular and highly requested, Smoke on the Mountain has become one of the area’s premiere shows for live entertainment featuring gospel music, comedy, and theatrics – all combined into one of the most entertaining productions to be found in Branson! Gospel Music & LIVE Production! 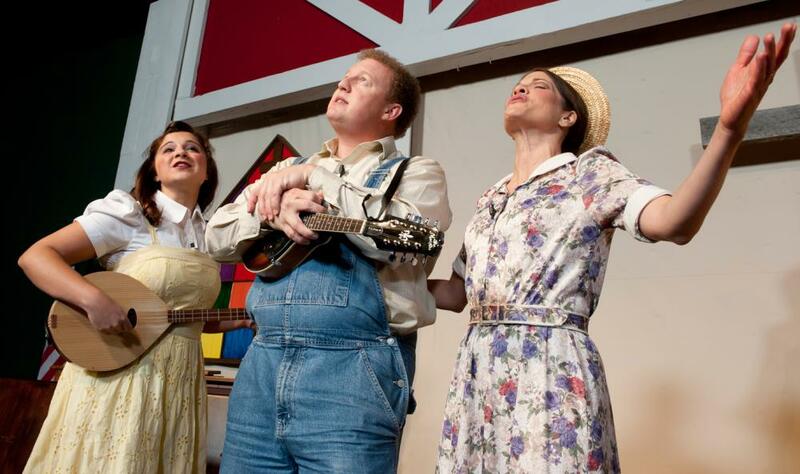 More than just a music show, the storyline is set in the heart of North Carolina in 1938 – following the Sanders Family as the entertain you on the way to their performance at the Sunday Night Gospel Sing-Off at Mount Pleasant Baptist Church. Along the way, the family will share more than 30+ of your favorite gospel songs from the era, ones that helped shape the future of gospel music as we know it. 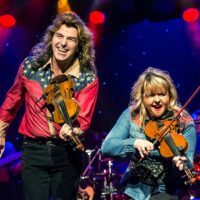 This wholesome and family-friendly show will share with its audience some clean fun and some of the most uplifting and spiritual songs of our time. 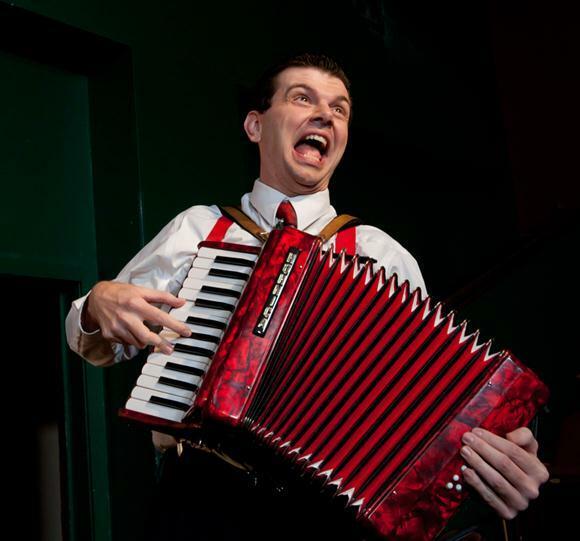 You will hear some of your favorite music portrayed in a most unusual, yet highly entertaining manner. 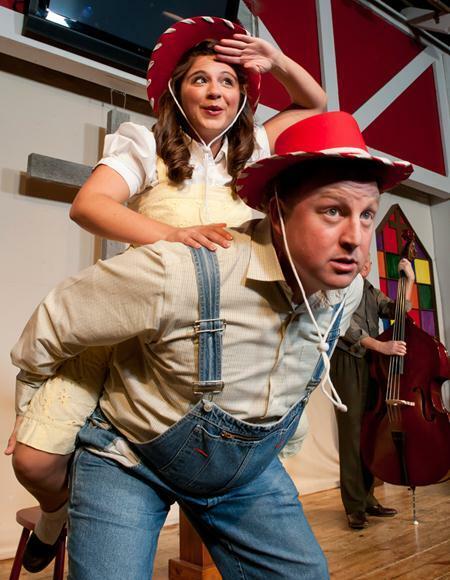 Laugh along with the crazy characters as they share their trials, tribulations, humiliations, and comedic antics that audiences of all ages will love! 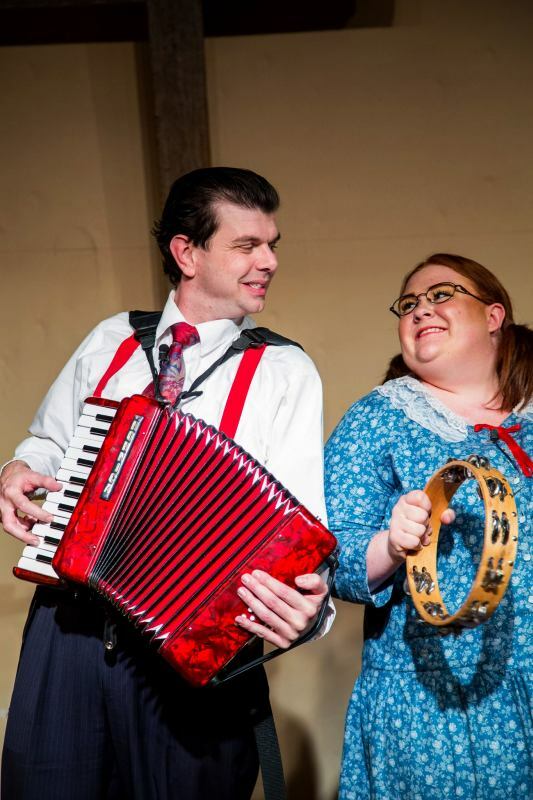 Esteemed writer Connie Ray put Allen Bailey’s idea on paper to create a fantastic production that perfectly blends comedy, acting, and music into a show that now has fans around the world. 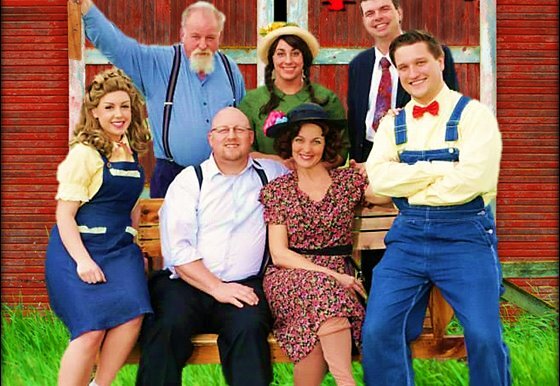 With a spectacular run at Lamb’s Theatre in New York, this off-Broadway show has made its home in the Midwest where the millions of visitors to Branson, Missouri can enjoy it year-round! I took some family last year and it was so much more than I expected. We had a blast and laughed till our stomachs hurt. I am taking one of my grandsons with me this Saturday and look forward to another great time and something for him to remember. 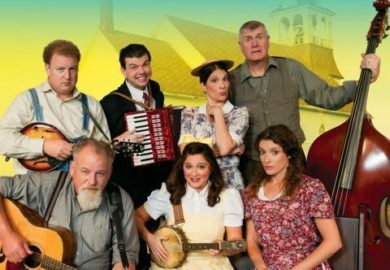 We attended May 12 2016, the best crowd we have ever been with at this show (we been there several times), we had a great time and “It is the best show in town” a must see, be sure to see their Christmas Show also, You will laugh at both shows until you hurt. Great job performers, you are all great. 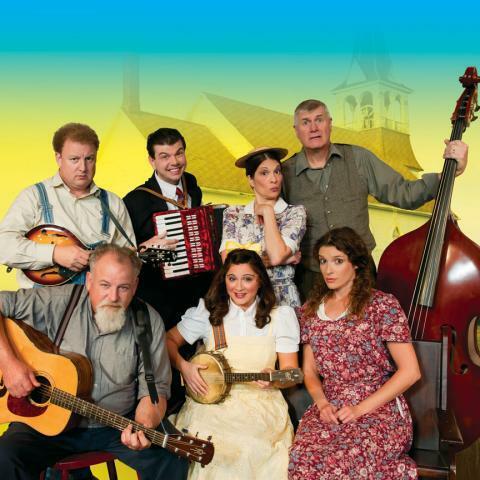 Great Christian/family show and a must see while in Branson. We attended the show last year and returned this year. It was super funny and loved watching all the expressions among the cast. You will laugh until it hurts. There are a lot of great shows in Branson BUT for our money THE BEST entertainment was smoke on the mountain. IT’S A MUST SEE show! Just make sure you bring a box of tissues and your boots, for tears of laughter will be rolling off your cheeks and flooding the floor under you!!! Hilarious!! Lots of good laughs! 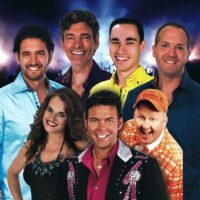 I highly recommend you become a part of this Branson show. We went June 30th and enjoyed it so much. So last night we took our 18-year-old twins and their 15-year-old sister along with their mom and dad and we all laughed until it hurt. June kept us in stitches. If you want a night of good clean fun and lots of laughter this is a must see. 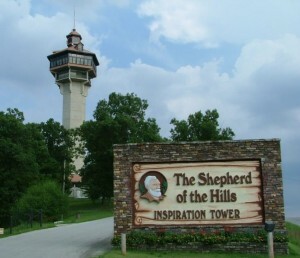 Saw this last time we were on Branson so funny truly enjoyed it. This was the best show ever. If you need a good laugh, then this is the show to go to. Great for the whole family. Great show great clean comedy fun family time ! Funniest show I have seen in a long time!!! Really enjoyed this show! So funny!